While motorbikes were actually featured in the reveal of Forza Horizon 4 on the Microsoft stag during their E3 presser on Sunday, they won’t actually be playable in the final game, the game’s director has revealed. Speaking to DualShockers, Turn 10 Studios’ Design Director John Knowles noted that while motorcycles are in the game, you can’t drive them, and they won’t be playable- which I know will crush at least some fans’ dreams. Which is a bit of a bummer, I guess- but Playground Games have been very receptive to fan feedback, and their DLC tends to often get crazy and go beyond the scope of the original game. So who knows, maybe we will see motorbikes that we can drive in a future expansion for Forza Horizon 4. If not, then who knows, maybe we see them in a Forza Horizon 5 or something. All we know is, they won’t be playable in this game at launch- better luck next time, motorbike fans. 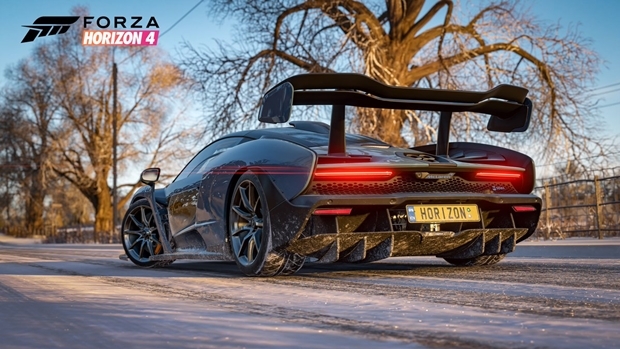 Forza Horizon 4 launches later this year, exclusively for Xbox One and PC.